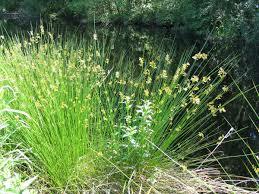 Soft Rush Grass of plant prefers acidic, marshy soil that holds standing water. Placing in warm, sunny locations will heed the best results. Boasting long cylindrical stems with tufts at the tip. This plant has fantastic soil retention factors, and are planted for their deer-resistant qualities. In summer months, florets appear in umbrella-shaped clusters. They will adapt to average soil, sandy soil, even gravel type substrate. During dry periods they will need proper irrigation. Soft Rush Grass is a water-loving perennial plant that is very popular in water gardens. It is also sometimes referred to as everyday rush, mat rush, and bog rush. It grows in clumps of attractive stems that are bright green in color, similar in appearance to many types of grass. The edges of those stems bloom with clusters of tiny yellow flowers close to the tips of the blades in the summer. The flowers stick around from June through August. When fall arrives, the stems turn a soft shade of yellow which then fades into brown with the arrival of winter. Wet soil is essential for this rush because it is native to wetlands and marshy areas. It becomes at a fast rate once it is established. This is a healthy plant that does not have any individual issues with pests or diseases. It should be cut back in the early spring, but other than that it requires little maintenance. This is a hardy plant that should grow well without much assistance so long as its basic needs are met. Soft rush is often built along the edges of wet areas. That can include ponds, lakes, and human-made water features. It looks very natural and at home in those locations while also adding a splash of bright green color to make it stand out. While it works well as part of a water garden, some gardeners even choose to place it in a decorative container to help it show off on its rate once it is established. 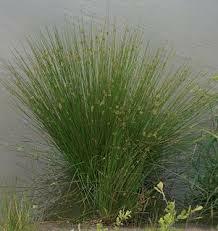 Soft Rush Grass is a healthy plant that does not have any individual issues with pests or diseases. Soft Rush Grass prefers full sun but can also grow successfully in partial shade.